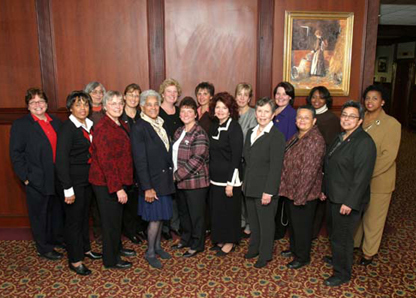 A first-ever conference for women elected to New York State’s County & City governments. Front Row Left to Right: The Hon. Wanda F. Willingham, Albany County Legislator; The Hon. Esther Leadley, Genesee County Legislator; The Hon. 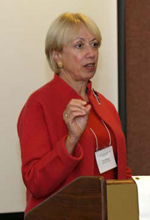 Lois Bronz, Westchester County Legislator; The Hon. Joyce Melfi, City of Olean Councilwoman; The Hon. Gladys Santiago, City of Rochester Councilwoman; The Hon. Harriett Cornell, Rockland County Legislator; The Hon. Bethaida Gonzalez, City of Syracuse Councilwoman; The Hon. Kathy Luz Herrera, Tompkins County Legislator. Back Row Left to Right: The Hon. Deborah Flood, Yates County Legislator; The Hon. 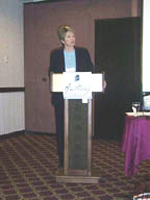 Susan Myers, Allegany County Legislator; The Hon. Carolyn Peterson, City of Ithaca Mayor; The Honorable Shawn Morris, City of Albany Councilwoman; The Hon. Vivian Viloria-Fisher, Suffolk County Legislator; The Hon. Susan Fieszli, City of Courtland Councilwoman; The Hon. Linda Witte, Cattaraugus County Legislator; The Hon. Leslyn McBean-Clairborne, Tompkins County Legislator; The Hon. Carolyn McLaughlin, City of Albany Councilwoman. 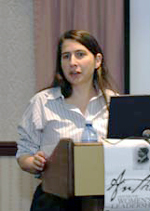 Dr. Duerst-Lahti is Professor and Chair of Political Science at Beloit College, where she teaches American Politics and Gender Politics. 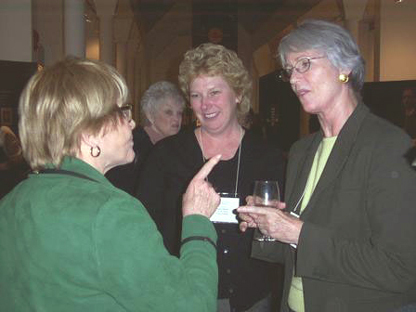 She has also served as President of the Women’s Caucus for Political Science. 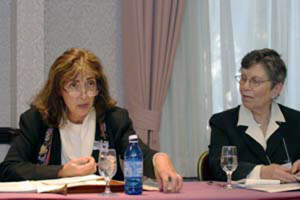 In 1995, she edited Gender Power, Leadership and Governance. Dr. Duerst-Lahti discussed how women may change politics and government. 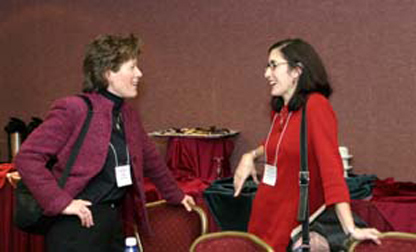 Dr. Heymann is founder and director of the Project on Global Working Families. An Associate Professor at the Harvard School of Public Health and Harvard Medical School, Dr. Heymann is founding chair of the Initiative on Work, Family, and Democracy. She is the Director of Policy at the Harvard Center for Society and Health. Director of the Social Justice Center, Stony Brook University and former commissioner of the Department of Social Services, Suffolk County, NY. Ms. Gibbs, director of the Center for Health, the Environment and Justice, is an environmental activist who discovered in 1979 that the 20,000 tons of toxic waste buried in her Love Canal neighborhood threatened the health of her family and neighbors. 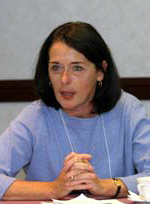 In 1998, she won the Heinz Award for the Environment for demonstrating the importance of citizen activists in protecting both the health of their communities and the environment as a whole. Author of The Price of Motherhood and If You’ve Raised Kids You Can Manage Anything, Ann is also a Pulitzer Prize-nominated former economic writer for theNY Times. The Honorable Louise Slaughter, Congresswoman, inspires the participants. 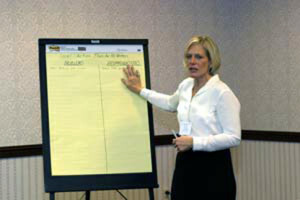 Participants drafted a plan to improve the lives to New York women and their families. The Local Action Plan will also shape the future work of the Women Leading Local Governments initiative. The plan became available in early 2005.